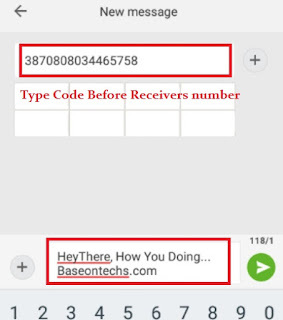 How To Send free SMS on MTN 2019 |[Two(2) Easiest Methods]| - BaseOnTechs - Learn To Do It Yourself. 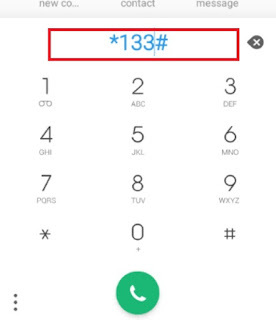 HOW TO SEND FREE SMS ON MTN. YO! It’s quite normal for one to run out of airtime and may not be able to recharge at the moment. It happens. And have happened to me times without number as at then, when I have no idea how to recharge from my diamond account. It’s really funny and I wish I never spent my precious money on airtime just to send SMS on MTN. But I won’t have to worry right? It was all about being unaware. 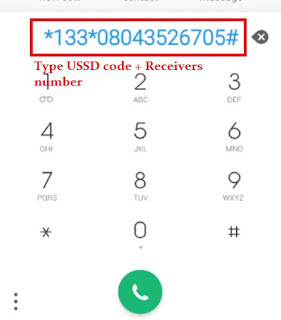 And yeah, you are so lucky to be here coz in a very short time; I will be showing you the trick I personally use to send SMS for free on MTN as at now. It’s all about some codes. Also bringing to your notice that this service was officially launched by MTN some time ago, so you have nothing to worry about. It won’t be canceled anytime soon. But just before I reveal them to you, I’d like to let you know that to send free SMS on MTN, it is either you want the person to call you or you want to pass a different message to someone. So you can really see that this trick is divided into two. And below are the steps to send free SMS on MTN. This one is simple and I use it almost every time I’m short on airtime. Open my Android Dialer App. And that’s it. The person will receive my text and call back. But wait; hope you know what recipient means. The person you are sending the text message to. And can also be called the Receiver. And now, it is no more as simple. Kindly Open Dialer App on your device. Type in *133# and send. A menu will pop up. Now Type in the number you want to send to. Tap send. Another menu will come up. Now select your preferred choice. (call me, please call me, I love you, I need your assistance, blah blah blah. You can clearly see that the steps are similar. The first one can be easier to copy and paste recipient number on dialer but the current please call me service is different. You will have to either cram receivers’ number or write it down somewhere so you don’t have to forget. No matter what! Both are simply right? Since it’s all free SMS. 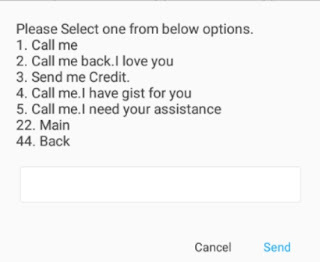 So the above steps are how to send free SMS on MTN to MTN asking the recipient to call you back. Now let's see how to send informational SMS for free on MTN. Or do I say; it is far easier than the other. Open your Messaging App the same way you use in sending normal SMS. And that’s all you need to send free SMS on MTN. IMPORTANT NOTE: Above steps only works with MTN to MTN line. You can see how to send unlimited SMS for free on any network here. Also, make sure you send free SMS on 0.00kb account balance in order to avoid deduction from MTN. Sending free SMS is simpler than you think. Like you call and text on a regular base. 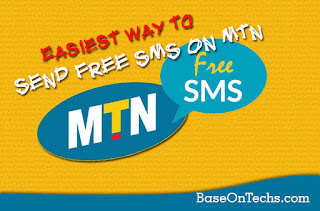 You can as well send free SMS as an MTN user. And as I have stated earlier, you can either send free SMS on MTN by asking someone to call you back as you are short on credit or send personal information to someone all for free. Believe me; if you follow the above steps you will be able to send free SMS on MTN anytime, anywhere. Do you have an alternative? Which other way do you currently use to send SMS for free? Do you find this post helpful? Of course, I will Love to hear from you. I Share Free Secret Tips & Tricks To Some Set Of Individuals. With the 38708 prefix, you get charged after all. I'm sorry about that bro. @Ayodele but I advised to use the above trick on 0.00kb account balance. You should know MTN by now. Please try again on 0.00 balance and let me know what you got.